This page contains the visual layout of the original http://v6launch.ripe.net/ site which was decommissioned during summer 2014. It is intended to be a demonstration only; only some of the interactive elements work. 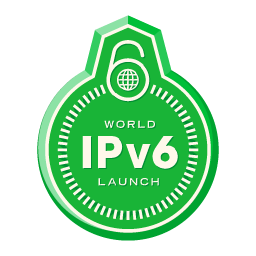 For the IPv6 Launch event, we've been measuring 60 participants from 53 vantage points, and we have executed 18,049,214 measurements between May 19 (00 UTC) and June 18 (00 UTC) 2012. Copy and paste this code into an HTML webpage. Note: widget_api.js (the 1st line) only needs to be included once per page. For more usage details please view the RIPEstat Widget API documentation.